Celebrate sustainability at the biggest Earth Day Celebration in the Mid-South! The Down to Earth Festival at Shelby Farms will feature local eco-friendly vendors, artisans, and organizations. You will also be able to enjoy live music, kid-friendly activities, crafts, and more. This year the festival will also feature the first ever Drive Electric Earth Day event, where electric vehicles will be on display near the park’s charging stations near the visitors center. Electric vehicle experts will be on site to explain how EVs are good for America, good for drivers, and good for the environment. Register now to participate in Drive Electric Earth Day and complete a short survey for a chance to win $250. 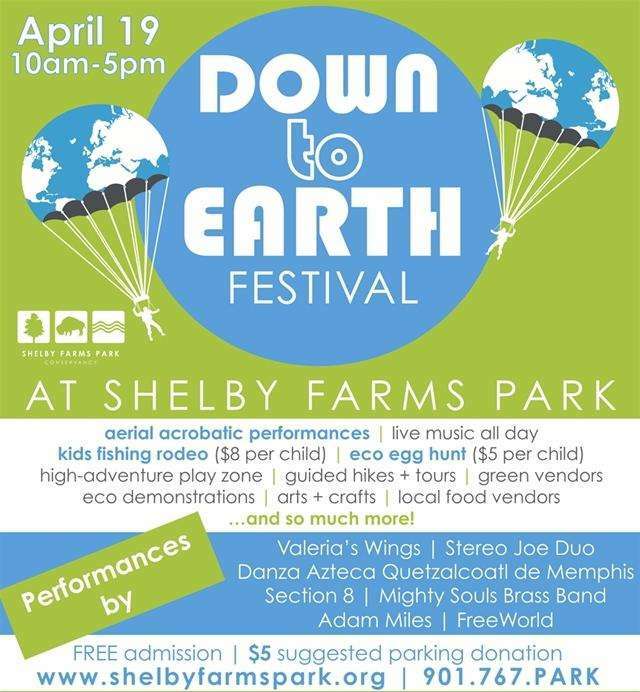 The Down to Earth festival and Memphis’ Drive Electric Earth Day event will be held Saturday 10am-5pm, April 27th, 2019 at Shelby Farms Park.